I have said it once and I will say it again: it doesn’t matter how big the budget, it doesn’t necessarily mean you’ve got a good movie. 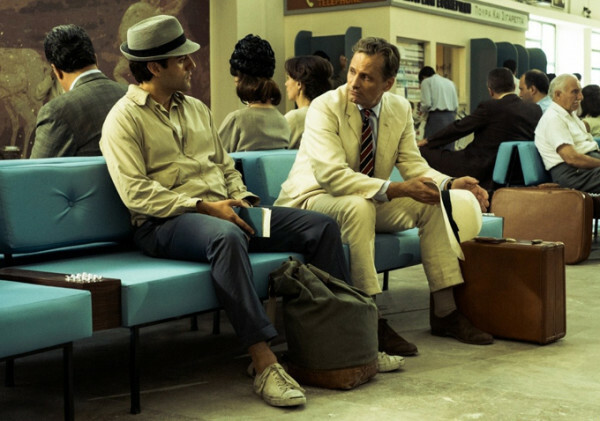 The Two Faces Of January is an effect-free, low-budget thriller that relies on three outstanding performances, a story that twists and turns and a director who manages to capture a foreign land quite spectacularly. The sad thing is that it will get lost among the Godzillas and Bad Neighbours of this world but this is a film that oozes class. Rydal is an American acting as a tour guide in Athens but is, in fact, a small-time con-artist making a little money on the side for his efforts from his unsuspecting customers. He meets Chester MacFarland and his beautiful wife, Colette, a couple from the States who he befriends and starts showing them around. When a private investigator arrives at Chester’s hotel room demanding money from a stocks scam he was involved with, it becomes ugly when Chester accidentally kills him. Afraid their past has caught up with them, Chester and Colette have to flee the country and, with the help from Rydal, they go to one of the Greek islands, to await new passports that Rydal has arranged. The three are trapped together when Chester starts to become increasingly paranoid as to Rydal’s intentions. 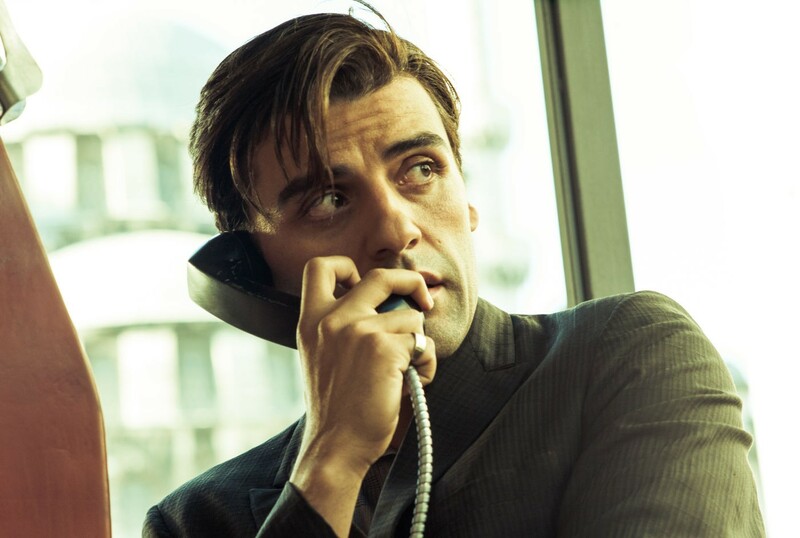 This is the debut directorial feature for writer Hossein Amini, who penned the brilliant Drive and for a first-time behind the camera, he proves himself a talent to watch. With the Greek Islands to work with, he uses the setting to his advantage but manages to do something quite special. We know it’s there and it looks tremendous but it never interferes with the story, or for that matter, the actors. It’s a small part of a near perfect thriller. Amini keeps things moving at a tremendous pace, delivering a three act story that is neatly defined. There is an old-fashioned feel about the whole thing that works well, with a stirring score by Alberto Iglesias that gives it a feeling of classic Hitchcock to it. This is brilliantly realised during a scene in which Rydal and Chester are at an airport, the camera swooping around as Rydal tries to escape the authorities. One of the more tense scenes in the film. Using Patricia Highsmith’s 1962 novel, this is a story of people on the run and the suspicions that can occur when caught up in close quarters. Like her previous work, The Talented Mr Ripley, many will see similarities with Anthony Mangella’s 1999 film, although it does stand on its own merits. A sense of period also works well, bringing another level of class and sophistication to the proceedings. One of the reasons the BBFC have given the film a 12A is because of smoking and boy, there is a lot of smoking going on. In fact there is rarely a scene when a character doesn’t have a white stick protruding from their mouths. How times have changed and yet it doesn’t feel wrong or out-of-place. What really works well are the performances from the three leads. This is, predominantly, a three-hander with incidental characters popping in and out, yet we spend the entire film in the company of the MacFarlands and Rydal and so, to care about them, to feel any form of sympathy or empathy, they must draw us into their worlds and you couldn’t ask for three stronger, more perfectly in-tune leads than Viggo Mortensen, Kirsten Dunst and Oscar Isaac. 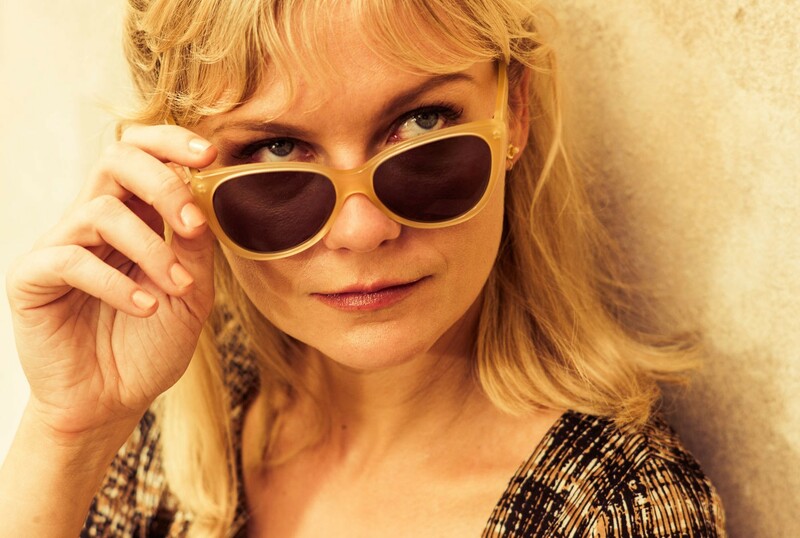 Dunst, as Colette, is the innocent of the party, a woman drawn into Chester’s crooked world and the reason for Rydal to enter theirs. The sexual tension built between her and the stranger heightens the story. Is she the reason behind him latching onto the American couple or does it go deeper. Dunst, who doesn’t appear in enough films these days, has the air of a classic film actress without having to really try. She fits the period brilliantly and you can understand why the young man could be attracted to her. Isaac, last seen in as the miserable folk singer in Inside Llewyn Davis, shows what a talent he is and a face to watch in the future. you are never sure what his intentions really are and even though we do see most from his eyes, you are never sure about him. An air of mystery hangs over him and it’s the strength of his performance that we stay with him throughout. 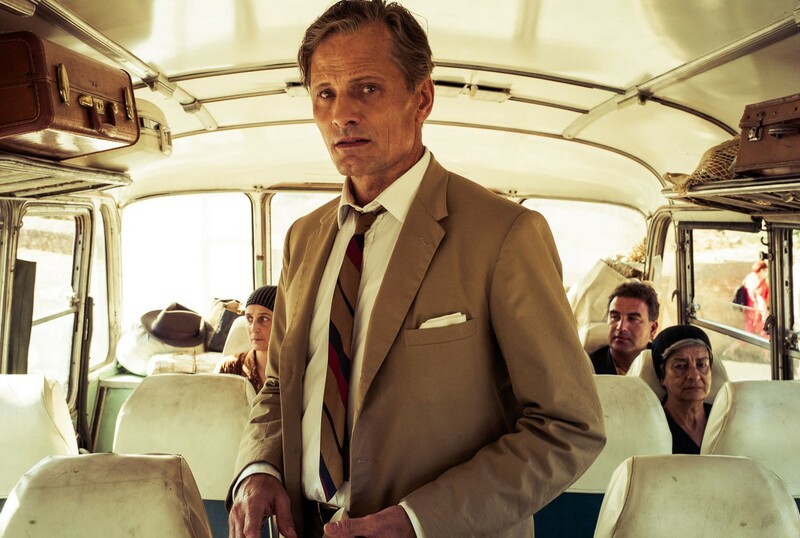 Finally there Mortensen as Chester, a man filled with paranoia and the star turn for me. His performance is layered with insecurities and suspicion, each change etched on his face. One brilliantly handed sequence sees him realising that Rydal may have been with his wife and you can see the cogs ticking over. Masterful stuff. The Two Faces Of January is a classy, mature, intelligent affair that grips from the start and doesn’t let go. It keeps you guessing and throws in the odd surprise or two. If you are looking for a mainstream film that doesn’t treat you like a child, has explosions and destruction to dazzle you away from a slim plot and poor acting, then you could do no wrong than see this terrific thriller that satisfies in every way.